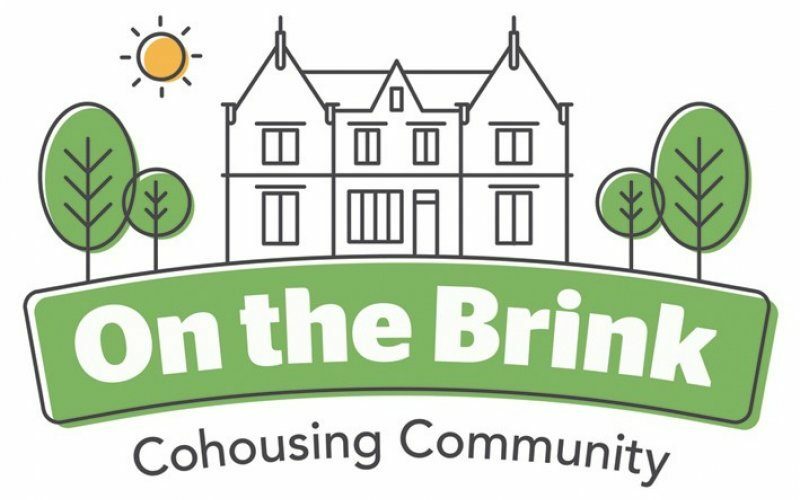 On the Brink is a new cohousing project in the Brincliffe/ Nether Edge area of Sheffield. We have bought a large property and are just about to start changing it from offices to 11 cohousing units in which we will live happily ever after. In July we launched a peer to peer investment scheme to attract a proportion of the development money we need to do the building works. Successfully getting investments validates the whole scheme. Outsiders consider the project good enough and solid enough to invest their money. Their money coming into our bank account has lifted morale and confirms our enthusiasm. Money loaned or invested in this way can be used more flexibly than having to stick rigidly to the conditions that commercial lenders place on their loans. This doesn’t mean that we are gung ho with the money or take any risks, but we can use it to pay bills at a time when commercial loans haven’t yet been confirmed. We do offer interest on any investments that are made in our project and we offer an interest rate up to 3% (which is much greater than on offer in the High Street right now or in the foreseeable future). People seem to enjoy having to choose the rate of interest themselves, some obviously wanting the maximum rate of return, while others have decided not to want any interest at all. Either is fine with us because our primary aim is to have a good relationship with our investors. In total we will have saved more than half the amount that we would otherwise be paying in interest on commercial loans, and of course there is no ‘arrangement fee’ to be paid. Money saved through this means will directly lower the costs of the units and improve the communal facilities that will be available to all of us. The outward facing image of the project has to look as though it is worth investing in. Our message is, “Your money will be safe with us. We will still be here when you want your money back. Even if everything goes wrong – we still have the equity of a wonderful building which will be sold to pay you back if the very worst things happen”. To this end we have developed a website, a Facebook page and send out regular newsletters. We have formed a Company which does all the things a company should do – a proper constitution, really strict monetary procedures, good accounting practices, excellent minutes from all meetings etc. We may or may not be airy idealists, but we are learning how to run a railroad. We have surrounded ourselves with a set of super professionals. Architects, solicitors, accountants, designers, ecologists, landscape architects etc. all back up a super Project Manager and a book keeper/ administrator (both paid). We have produced an investment brochure/ prospectus. We have taken professional advice about what we can and can’t say about investing in our project. We do have a spreadsheet that shows precisely what investments have come in, what interest rate they are attracting and when they will be repaid. We have a professionally produced loan agreement document that we can tailor to the individual needs of each investor. We actually haven’t done a lot of publicity because simple spreading of the message via social media and face to face has proved most effective. OK. How much money have we managed to attract? Perhaps it isn’t wise to let it be known exactly how much our total loan/ investment is to date, but it is in the hundreds of thousands of pounds – and more is being negotiated as we speak – and more would be welcome. The minimum investment has been £2,000 and other investments have been considerably greater than this. Mostly this money has come from friends through direct e-mail dissemination or through letting people know about our Facebook page https://www.facebook.com/otbcohouse/ or website www.onthebrink.community. My personal view is that no cohousing project should rely on getting significant sums of money through this means. We have been lucky and the money has almost entirely come from unexpected sources. It’s invariably people who want to use their money for good social ends who invest in our project.